Market Research is the process of gathering, analyzing and interpreting information about a market, about a product or service to be offered for sale in that market, and about the past, present and potential customers for the product or service; research into the characteristics, spending habits, location and needs of your business’s target market, the industry as a whole, and the particular competitors you face. There are two types of research: ‘Primary’ and ‘Secondary’. 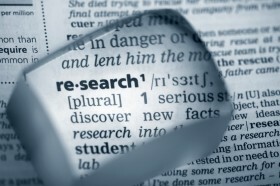 The latter involves using information that is already available, for example data collected by the national statistics office, existing published research, trade journals etc… The other type of research is ‘Primary research’ This research is conducted where the information is not currently available and involves going and gathering information from people, usually in the form of a survey or interview. Life Consulting staff have worked for many high profile clients in this field including Bank of Ireland, Vodafone, Budget Travel, Bus Eireaan, SN Brussells Airlines.